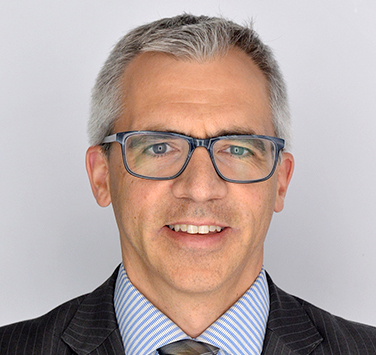 Peter MacAskill is the Chief Operating Officer (COO) of Nova Scotia Business Inc. (NSBI), responsible for Business Financing, Regional Business Development, and Export Development. Joining NSBI in 2002 as Director, Compliance and Risk Management, Peter has since expanded his leadership responsibilities in the areas of finance, client service, operations, and corporate services. Peter became Vice President in 2012, leading to his current role as COO in 2015. Prior to NSBI, Peter spent eight years with TD Waterhouse in Toronto, where he managed operations departments for the brokerage lines of TD Bank. Peter is a graduate of St. Francis Xavier University in Antigonish, Nova Scotia, with a Bachelor of Science in Mathematics. He is committed to continuous education, participating in leadership courses such as Rotman’s Executive Leadership Program, the Negotiation and Influencing Master Class at Dalhousie University, and the Bill Black leadership values course. Peter is dedicated to sharing his expertise and knowledge with numerous community and charitable organizations, volunteering with Symphony Nova Scotia as a Board member, Chair of the Finance Committee, and member of the Executive Committee. He also mentors with Fusion Halifax and Junior Achievement of Nova Scotia, inspiring and preparing youth to succeed in a global economy. Peter resides in Halifax, Nova Scotia, with his wife, Nicole, and their four children: Noah, Liam, Erin, and Emma. Joined the Board in 2013. Renewing for a two-year term (until 2020) as Secretary-Treasurer of the Board.